Inaugural Distinguished Hall of Fame – Ursuline Academy – Celebrating 125 Years! 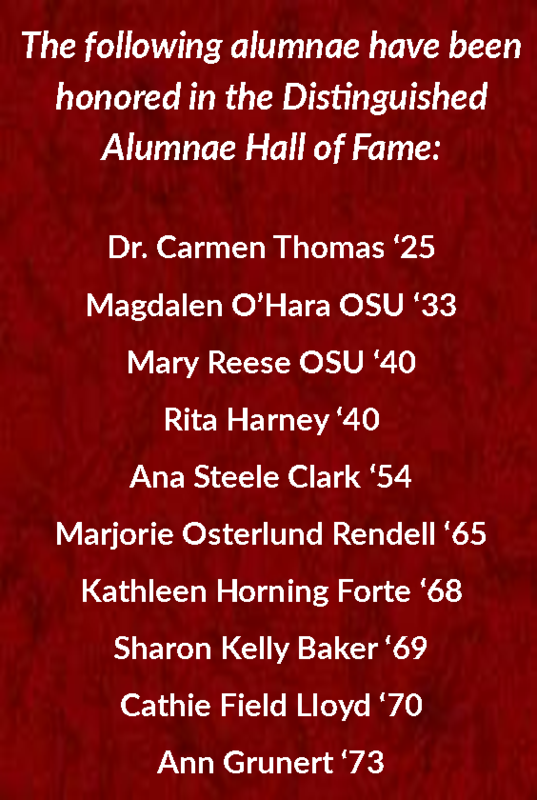 The Ursuline Academy Distinguished Alumnae Hall of Fame honors former Ursuline Academy alums that have brought distinction to our school through their talents as demonstrated in their career and/or throughout the community. They instill and continue the tradition of excellence rooted in Serviam and the Catholic faith that has been characteristic of Ursuline Academy. Honorees encourage current students to model the many opportunities available through determination, dedication and service to the community as exemplified by the nominee.